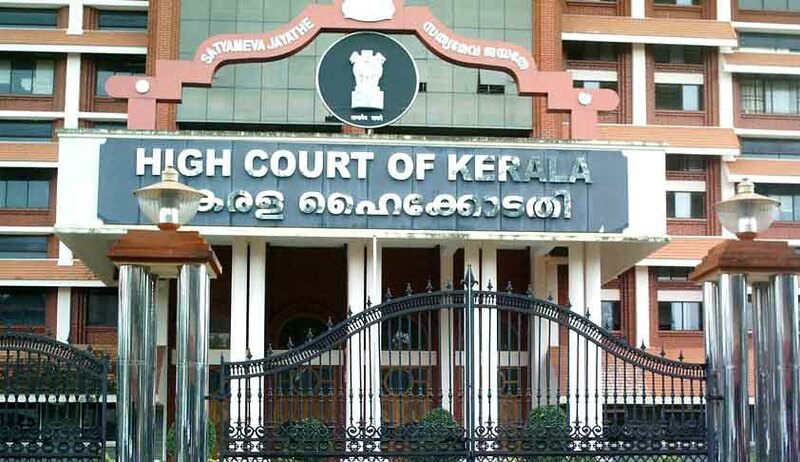 The Full Court meeting of the Kerala High Court, which met on 01/03/16 has decided to disengage the services of 52 officers employed as temporary Munsiff- Magistrates across various revenue districts, of the State. 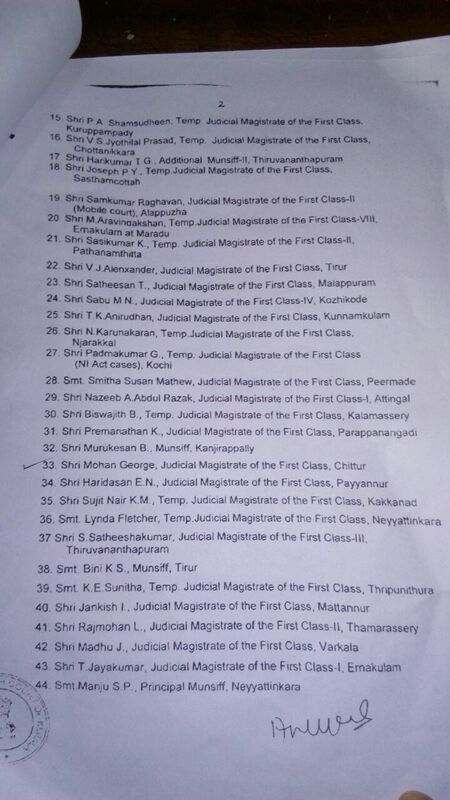 These persons were appointed as temporary Munsiff-Magistrates, in the Kerala Judicial Service, in accordance with a Government order issued on 10/09/15. Pursuant to the decision of the Full Court meeting, a communication dated 01/06/16, has been issued from the Registrar, Sub Ordinate Judiciary wherein it has been ordered to repatriate the services of the aforementioned officers, to their parent departments. Such a procedure, has further been directed to be implemented with immediate effect. 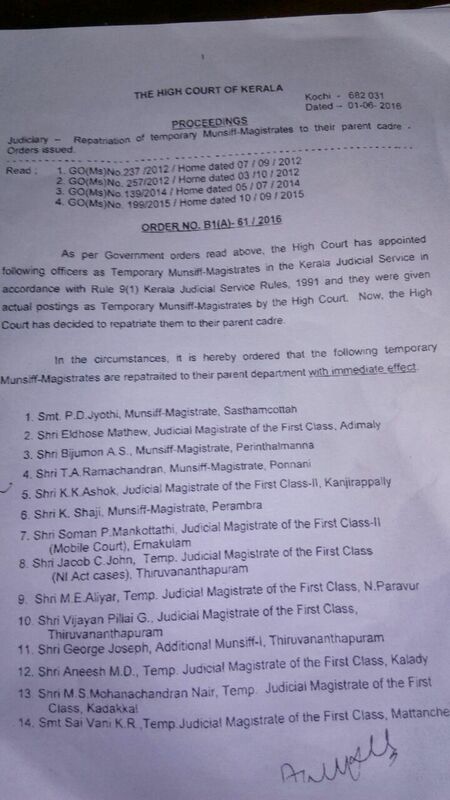 The Kerala High Court, has also on 02/06/16 further issued a separate order to repatriate the services, of such officers,who were either Sheristadars and Senior Superintendents in the State Judicial Department. 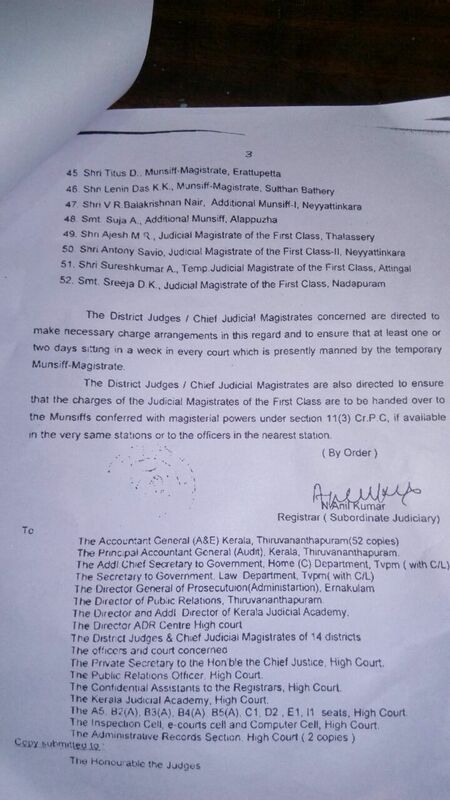 The District Judges/Chief Judicial Magistrates of the concerned stations have also been directed to make necessary alternate charge arrangements for the posts vacated by aforementioned officers. The District Judges/Chief Judicial Magistrates have also been ordered to ensure that at least one or two days sitting is conducted every week in such courts, which has been manned by temporary Munsiff- Magistrates till now.